… THE LAST OFFICIAL FULL DAY OF WINTER! frontiersman/gambler/gunfighter Wyatt Earp was born in Monmouth Illinois. Besides the gunfight at the O.K. Corral, which popped up repeatedly in movies, he was the subject of dozens of radio & TV western dramas over the years, many of them fictionalized. He died of chronic cystitis Jan 13, 1929 at age 80. In 1890, radio & film actor/announcer/host/narrator Gayne Whitman was born in Chicago. He appeared in 213 films, while in OTR radio, he played the title role in Chandu the Magician, was a key anouncer for Dupont on NBC’s prestige series Cavalcade of America, and hosted or narrated several lesser known series. He died Aug. 31 1958 at age 68. 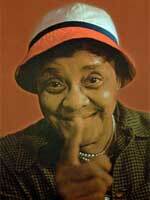 In 1894, comedienne (Jackie) “Moms” Mabley was born Loretta Mary Aiken in Brevard North Carolina. Thirteen of her comedy albums made Billboard’s pop album chart. Billed as the Funniest Woman in the World, she was one of the most successful entertainers on the black vaudeville circuit, at her peak earning $10,000 a week at Harlem’s Apollo Theatre. 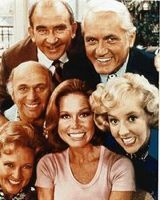 In her 60’s she was guesting on mainstream TV shows hosted by Flip Wilson, Mike Douglas, Merv Griffin, “The Smothers Brothers Comedy Hour”, and “Rowan & Martin’s Laugh-In.” She died May 23, 1975 at age 81. In 1906, actor Roy Roberts was born Roy Barnes Jones in Tampa Florida. His was one of the familiar faces in the supporting cast of so many early TV shows like Gunsmoke, Here’s Lucy, Petticoat Junction, Bewitched, My Littlle Margie, etc. He died of a heart attack May 28, 1975 at age 69. In 1907, actor Kent Smith was born in New York City. He had running roles in TV’s Peyton Place & The Invaders, plus dozens of guest spots on series like Rawhide, Gunsmoke, Have Gun Will Travel, Lux Video Theatre, Philco TV Playhouse, etc. His last appearance was in 1977 on Wonder Woman. He died of congestive heart failure April 23 1985 at age 78. 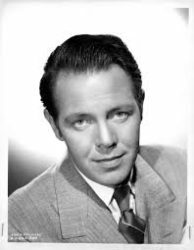 In 1909, actor Louis Hayward (below) was born in Johannesburg South Africa. After a US movie career largely as a swashbuckler, he produced & starred in three TV series, Lone Wolf, The Pursuers (UK) & The Survivors. He succumbed to lung cancer/renal failure Feb. 21 1985 at age 75. In 1912, orchestra leader Russ Case was born in Hamburg Iowa. Still in his teens he joined radio station WOC Davenport Ohio as an arranger. He produced & led the band for some of Perry Como’s classic recordings as A &R man for RCA Victor, and became the NBC studio orchestra first on radio, then TV. He was working as arranger for The Jackie Gleason Show when he died Oct 10 1964 at age 52. In 1928, Halifax station CHNS broadcast an experimental two-hour school music broadcast, which included a performance by the Harmonica Band of St. Patrick’s Boys’ School. That fall, CHNS began Canada’s first regular school broadcast series, a two-hour weekly show. Also in 1928, Freeman Gosden and Charles Correll left WGN radio in Chicago to head across town to WMAQ radio. They weren’t able to take their previously popular radio show names (Sam & Henry) with them due to contractual limitations. So they adopted new names which became even more popular … Amos and Andy, and continued as radio mainstays for another 30 years. In 1941, Jimmy Dorsey and his Orchestra recorded two of their biggest hits, which were released on either side of a Decca Records 78. “Green Eyes” featured vocalists Helen O’Connell and Bob Eberly, while the flip side “Maria Elena” had Eberly alone with the lyrics. In 1953, the Academy Awards celebrated their silver anniversary — and came to television for the first time. NBC paid $100,000 for the rights to broadcast the event on both radio and TV. “The Greatest Show on Earth” was named best picture of 1952. In 1954, NBC viewers saw the first televised prize fight shown in living color, as Joey Giardello knocked out Willie Troy in round seven of a scheduled 10-round bout at Madison Square Garden. In 1958, the duo of Tom and Jerry released their new single, “Our Song,” a followup to their first hit for Big Records, “Hey Schoolgirl.” Later, on the Columbia label they used their real names, Paul Simon and Art Garfunkel. Also in 1958, Cadence Records released the instrumental “Rumble” by Link Wray, which later was credited with being the first heavy-metal song. In 1960, CFUN 1410 Vancouver switched to a “Top 40” format. Their first charted #1 song was “Wild One” by Bobby Rydell. In 1966, Gary Leeds of the Walker Brothers was abducted by British students trying to raise money for charity. He was not hurt in the incident. Also in 1966, Lesley Gore guest-starred on the final episode of ABC-TV’s “The Donna Reed Show,” in which Jeff Stone and his buddy want Lesley to record their song. In 1967, the Lovin’ Spoonful headlined CBS-TV’s Ed Sullivan Show, singing “Do You Believe in Magic?” and “Daydream.” Johnny Rivers offered “Baby I Need Your Lovin’,” and the white tuxedo-clad Cab Calloway performed his signature song “Minnie the Moocher.” Comedian George Carlin‘s standup routine was about Daytime TV. In 1968, English singing star Donovan left for India where he was to study transcendental meditation under Maharishi Mahesh Yogi. Also in 1968, the Jimi Hendrix Experience played two shows at Ottawa’s Capitol Theatre, and Terry David Mulligan interviewed Hendrix for CBC Television. See it HERE. Again in 1968, Dean Martin was awarded a Gold Record for the album, “Houston.” Martin charted 17 hits on the pop music charts in the 1950s and 1960s; “Houston” was his 12th. In 1971, the No. 1 Billboard Pop Hit was “Me and Bobby McGee” by Janis Joplin. The song was the second posthumous No. 1 song of the rock era, reaching the top of the charts almost six months after Joplin’s death. In 1974, actor Edward Platt, memorable as “The Chief” on the Don Adams TV show Get Smart, committed suicide at age 58. Also in 1974, Jefferson Airplane began their first tour as the Jefferson Starship. The Starship included Airplane members Grace Slick, Paul Kanter, John Barbata, David Frieberg and Papa John Creach, plus Peter Kangaroo and Craig Chaquico. Lead singer Slick was fighting a losing battle against alcoholism, and in 1978 she was forced to quit the band in the middle of a European tour. There was a crowd riot in West Germany when she did not appear. In 1975, during their tenth tour of North America Led Zeppelin appeared at Vancouver’s Pacific Coliseum. Advance sale tickets went for just $7.50! 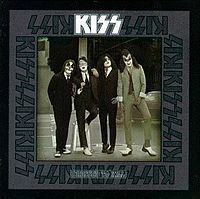 Also in 1975, the third album from KISS, “Dressed to Kill,” was released. In 1976, British blues rock guitarist Paul Kossoff died of a heart attack aboard a plane en route to New York. He was only 26. Kossoff was known to have a drug problem. He was a member of the group Free and later formed Back Street Crawler. Also dying on this date in 1976 was Gary Thain, bass guitarist with the hard rock band Uriah Heep. Cause of death was a drug overdose. Still on this date in 1976, Motown rushed out Diana Ross’s “Love Hangover” as a single to beat a version by the Fifth Dimension. Ross’s record went to number one on both the pop and rhythm-and-blues charts, the Dimension’s peaked at #80. In 1979, actor Al Hodge, who played The Green Hornet on radio & was Captain Video in the early days of TV, died an alcoholic, broke & alone, at age 66. In 1980, the autopsy of Elvis Presley was subpoenaed in the “Dr. Nick” drug case. “Dr. Nick” was Dr. George Nichopoulous who was Presley’s personal physician; he was later convicted on charges of over-prescribing the pharmaceuticals that led to Elvis’ death. 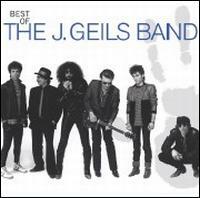 In 1981, The J Geils Band were at No.1 on the Billboard singles chart with ‘Centrefold’. In 1982, several members of rocker Ozzy Osbourne‘s entourage, including guitarist Randy Rhoads, were killed in a freak accident near Orlando, Florida. Rhoads and two others were in a light plane which buzzed Osbourne’s tour bus, clipped a wing and crashed into a house. Osbourne and most of his band were on the bus and were not injured. Also in 1982, the 100th episode of “Dallas” aired on CBS. 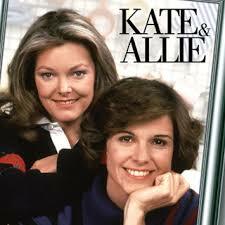 In 1984, the TV sitcom “Kate & Allie” starring Jane Curtin & Susan St. James began a six-season run on CBS. It concerned the trials & tribulations of two single mothers (and their kids) living together as roommates. In 1987, Arch Oboler died, a talented radio writer (& program host) best known for the series “Lights Out.” He was 77 years old. Also in 1987, popular TV evangelist Jim Bakker resigned from the PTL ministry after church secretary Jessica Hahnalleged Bakker and another man drugged and raped her at a Florida motel. In 1988, Porter Wagoner performed with Dolly Parton for the first time since their celebrated split 14 years earlier. They sang “Long Journey Home” on Parton’s T-V show. In 1990, Toronto singer Alannah Myles‘ song Black Velvet made it to Number 1 on the Billboard Charts. In 1992, Italian actor Cesare Danova, who had a running role in two TV series Ryan’s Hope & Garrison’s Gorillas, died after a heart attack at age 66. In 1993, drummer Jeff Ward of the industrial rock band Low Pop Suicide was found dead at his home in Chicago. The 30-year-old drummer is believed to have committed suicide. 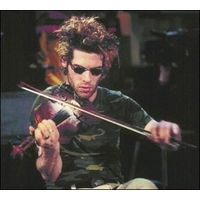 In 1997, 15 minutes before he was to go on stage, Cape Breton fiddler Ashley MacIsaac cancelled a show at a Cleveland nightclub. He performed two more U-S gigs, then announced he was cancelling the remaining five dates of his American tour because of exhaustion. MacIsaac was embroiled in controversy at the time for discussing his sexual proclivities with a reporter and flashing his privates during an appearance on a late-night U-S talk show. Also in 1997, the 200th episode of “Beverly Hills 90210” was aired on FOX. In 1999, country star George Jones walked out of the hospital 13 days after a near fatal traffic accident. Jones, 67, thanked Vanderbilt University Medical Center doctors and nurses before climbing aboard his tour bus for the ride home to a Nashville suburb. Also in 1999, Elton John was a guest on syndicated TV’s “Rosie O’Donnell Show,” promoting the new stage musical “Aida,” of which he was the composer. In 2001, Herbie Jones, a jazz musician who worked with Duke Ellington and Billy Strayhorn, died at age 74. The trumpeter, composer, arranger and jazz educator toured five continents with the Ellington band. 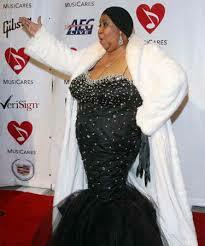 In 2004, Aretha Franklin was admitted to hospital in Detroit after suffering an allergic reaction to antibiotics. She remained an in-patient for five days. Also in 2004, Quesnel BC’s CKCQ was approved for an AM to FM flip, to operate with 1800 watts at 100.3 KHz. The programming would continue to be rebroadcast into Williams Lake and 100 Mile House. The following year the Vista group bought the Cariboo operation. In 2005, 50 Cent became the first solo artist to have three singles in the US Top 5. ‘Candy Shop’ was at No.1 with ‘How We Do’ by The Game, (a member of his G-Unit group) at No.4 and ‘Disco Inferno’ at No.5. In 2007, CBC Radio Two made its biggest format change in over 30 years. Rather than being devoted exclusively to Classical Music, from 6 pm-6 am it was to feature “contemporary music” in different genres. 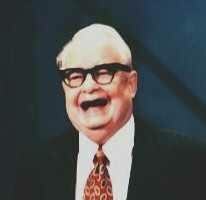 Also in 2007, actor Calvert DeForest, who portrayed the forever-inept Larry ‘Bud’ Melman on David Letterman’s TV Shows on both NBC & CBS, after years of poor health passed away at age 85. Still in 2007, US soul singer Luther Ingram died after a heart attack at the age of 69. Ingram scored 1972’s No.2 chart hit ‘(If Loving You Is Wrong) I Don’t Want to Be Right’ and wrote the Staple Singers’ hit ‘Respect Yourself’. In 2013, pioneering TV sportscaster Bud Palmer, who covered events from the Masters Golf Tournament to the Little League World Series, died of prostate cancer at age 91. Before broadcasting, Palmer was a member of basketball’s New York Knicks, and one of the first players to use the jump shot. Also in 2013, Floyd “Buddy” McRae, the last surviving original member of The Chords, who popularized the rock ‘n’ roll classic “Sh-Boom” in the summer of 1954, died at about age 80. He had been in declining health for several years. 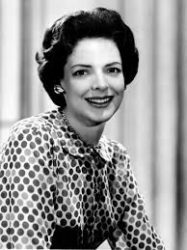 Still in 2013, actress Lori March, who for 13 years played the matriarch in the early CBS-TV soap opera ‘The Secret Storm,‘ died at age 90. In 2015, rocker Michael Brown, who played harpsichord and Clavinet for the Left Banke, and who co-wrote the pop classic ‘Walk Away Rene,’ died of heart failure at age 65. In 2017, author/columnist Jimmy Breslin, a Pulitzer prize-winning chronicler of wise guys and underdogs and frequent guest on radio & TV, who became the brash embodiment of the old-time, street smart New Yorker, died of complications from pneumonia at age 87. Actress Renee Taylor (The Nanny, Mary Hartman Mary Hartman) is 86. 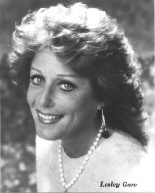 Actress/singer Phyllis Newman (100 Centre Street, One Life to Live, To Tell the Truth, What’s My Line?) is 86. Saskatchewan-born TV producer Burt Metcalfe (M*A*S*H, After MASH) is 84. Actress Ursula Andress (Falcon Crest, Peter the Great) is 83. Singer Clarence “Frogman” Henry is 82. Singer Ruth Pointer of the Pointer Sisters is 73. Actress Glenn Close (Damages, The Shield, Sarah Plain & Tall) is 72. Actor Bruce Willis (Moonlighting, Friends) is 64. Actor Christopher Murray (Aquarius, Zoey 101, General Hospital) is 62. Actor Geoffrey Lower (Dr. Quinn Medicine Woman) is 56. Actress/voicist Mary Scheer (Bunk’d, MADtv, The Penguins of Madagascar, iCarly, Hey Arnold) is 56. Actress Marjorie Monaghan (Rescue 77, Babylon 5) is 55. Actor Jake Weber (Medium) is 55. Actress/model Lisa Stahl (Baywatch NIghts, New Price is Right) is 54. Actor Fred Stoller (Word Girl, Handy Mandy) is 54. The Nouveaux Riches lead singer/dancer Eddie Daniels (Club MTV) is 52. Walla Walla-born actor Connor Trinneer (Star Trek: Enterprise, One Life to Live) is 50. Guitarist-keyboardist Gert Bettens of K’s Choice is 49. Actor Dalton James (Passions, Beverly Hills 90210) is 48. Actress Simmone Mackinnon (Baywatch) is 46. Rapper Bun B of UGK is 46. Quebec-born actress Lucie Laurier (Premonitions, Rene Levesque) is 44. Actor Matthew Leitch (Band of Brothers) is 44. Toronto-born actress Rachel Blanchard (You Me Her, Fargo, 7th Heaven, Clueless, Are You Afraid of the Dark?) is 43. Actor/producer Nicholas Downs (Sloppy Tacos, Steam Room Stories) is 43. Drummer Zach Lind of Jimmy Eat World is 43. Actress Virginia Williams (Fuller House, Fairly Legal, Monarch Cove, One Life to Live) is 41. Spokane-born actress Michele Morrow (Good Game) is 41. Actress Abby Brammell (The Unit) is 40. Actor Jackson Davis (Days of Our Lives, Lonelygirl15) is 40. Actress Samantha Colburn (The PET Squad Files) os 36. Actor Michael Drayer (Sneaky Pete, Vinyl, Mr. Robot, Deception) is 33. Model/actress Anne Vyalitsyna (The Face, The Victoria’s Secret Fashion Show) is 33. Actress Josie Loren (Make It or Break It, The Mentalist) is 32. Actor Freddie Smith (Days of Our Lives) is 31. Actor Craig Lamar Traylor (Malcolm in the Middle) is 30. Actor Hudson Thames (Malibu Country, Rule the Mix, Greetings from Home) is 25. Actor Philip Bolden (My Wife & Kids, Malcolm in the Middle) is 24. Vancouver-born actress Abby Ross (Seed, Once Upon a Time) is 22.